Based on GDP and other measures of well-being, humanity has never been better off. The number of people living in absolute poverty has fallen four-fold since 1980. Fewer people die today from violence or conflict than any prior era . Individuals generally live longer and more comfortably than any prior generation. Yet these historic advantages are being matched by a range of challenges felt keenly by many citizens. Inequality within countries is rising , and in some cases has hit historic highs. Incomes have stagnated for the middle class in advanced economies. Recent surveys indicate that trust in key social institutions – business, government, media and even non-governmental organizations – has been falling. A complex web of factors lies beneath this declining trust in institutions and rising polarization, but at the core is a feeling that political and business leaders have been too complacent about the changes that have swept through people’s lives. Put another way, too little has been done in recent decades in too many societies to address the human impact of technological disruption, international economic integration, domestic deregulation and privatisation, and migration. The world is now amid a Fourth Industrial Revolution that threatens to exacerbate this social frustration. The first industrial revolution used water and steam to mechanise production, the second brought electric power and mass production, the third electronics, information technology and automated production. The fourth fuses remarkable new technologies across physical, digital and biological domains. Think self-driving cars, gene-editing tools and artificial intelligence that can do anything from running sales strategies to discovering new drugs. Robotics and artificial intelligence in particular are likely to create substantial new disruption to labour markets, testing social cohesion still further. There is an urgent need for a bold policy agenda to confront this challenge combined with a visionary narrative about the improvements in everyday life that the Fourth Industrial Revolution can bring to households, countries and humanity at large. This will be no easy task, but there are specific steps that can be taken to build a different kind of economy, one with social inclusion consciously “ designed into ” its core. First, countries should create flexible, informal process involving business, government and social actors to better manage the risks of new technologies. There needs to be a shorter feedback loop between innovators and society. Policymakers would be better able to keep abreast of rapid advances in science, enabling them to better understand when and what type of formal rules would be appropriate. This would create greater appreciation of how more flexible and adaptive arrangements, such as voluntary principles, standards and pilot programmes agreed among a critical mass of key stakeholders, can help to advance effective governance. An early example is an effort underway by manufacturing, academic and insurance industry experts to create a common safety protocol to ensure the basic digital security of the expanding array of household, medical and infrastructure devices that are being connected to the Internet – the so-called Internet of Things. 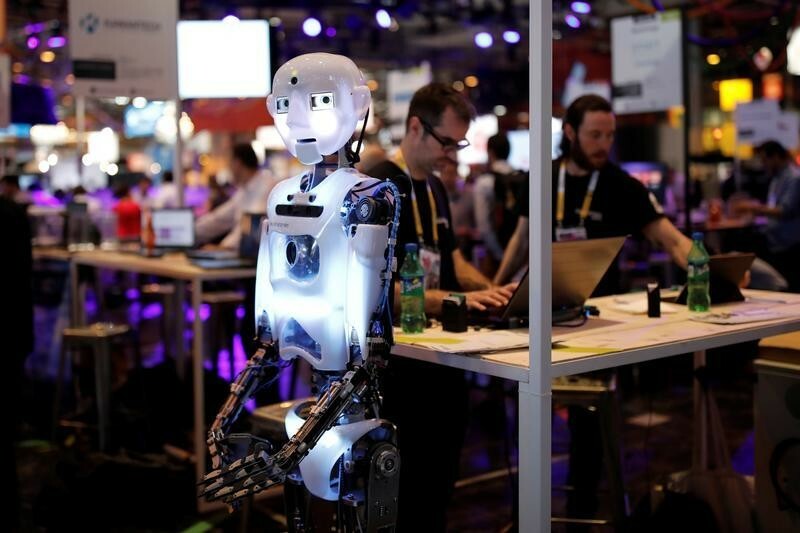 A new World Economic Forum Center for the Fourth Industrial Revolution was established earlier in the year in San Francisco, California to create an international platform for such agile forms of public-private technology cooperation. Second, if governments want to ensure that the increased prosperity and opportunity enabled by technology and globalization are widely diffused, they will need to place social inclusion at the heart economic policy. Earlier this year in Davos, the Forum issued a new Inclusive Growth and Development Report defining 15 areas of domestic policy and institutional strength that determine how well economies are able to translate economic growth into broad-based improvement in living standards. Each is a potential source of both stronger growth and wider social inclusion. Together, they constitute the implicit income distribution system of modern market economies. Our research, however, finds that this policy ecosystem has deteriorated over the past generation in many advanced countries, and is frequently underemphasized in the economic strategies of developing economies. 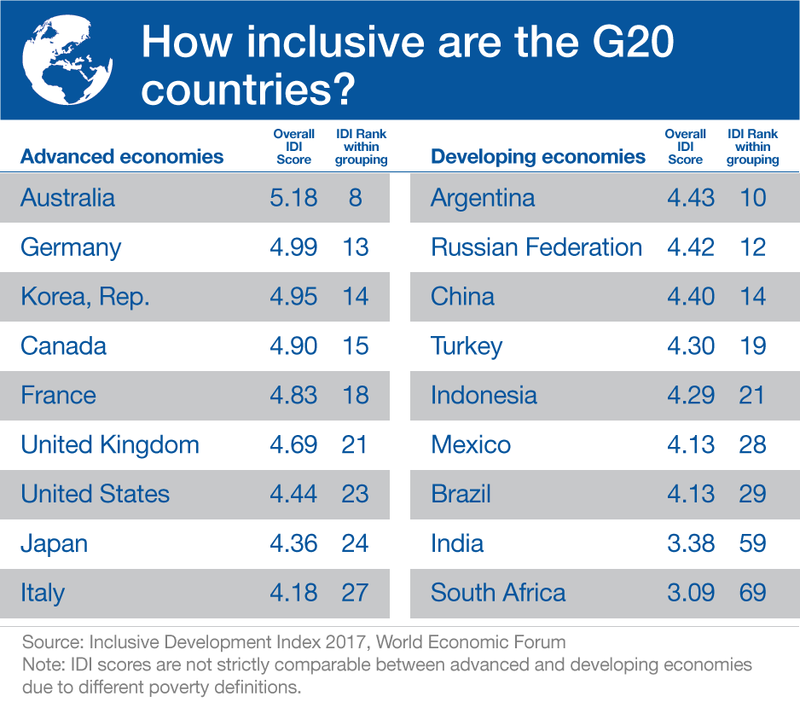 To help governments rebalance their policy priorities in this direction, we have created an alternative measure of national economic performance: the Inclusive Development Index . Rather than simply measure an economy’s annual production of goods and services (GDP), this new global index combines GDP with 11 additional measures of the extent to which an economy is generating broad-based and sustainable progress in living standards. The Fourth Industrial Revolution will require governments to move beyond reactive measures aimed at efficiency and short-term growth, to proactively chart a course that mitigates the social risks of new technologies and strengthens the positive feedback between growth and inclusion in an economy through a stronger emphasis on certain key domestic institutions. A new approach to technology cooperation and structural economic reform is what is required to place people and their living standards at the centre of economic policy. This would constitute an agenda to engage and shape the future rather than resist or hide from it. The short-term alternatives, whether scapegoating minorities, idealising a bygone era, or insisting on the benefits of globalization without making appropriate domestic investments and reforms, are entirely inadequate. The 21st century calls for a new kind of leadership to inspire confidence in the ability of technology to enhance human potential rather than substitute for it. This is precisely the leadership that is also required to maintain faith in the liberal international economic order’s ability to raise living standards in developed and emerging economies as they integrate, lifting us up rather than pulling us apart.